I was just wondering if there is a new release of Kangaroo planed anytime soon? 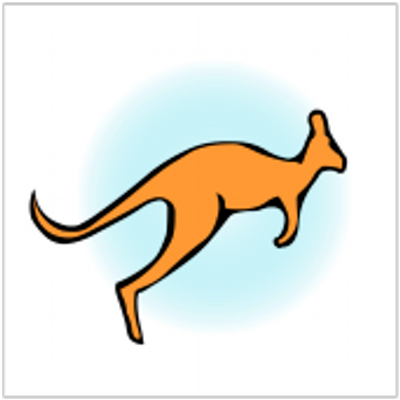 Kangaroo is a Live Physics engine for interactive simulation, form-finding, optimisation and constraint solving. This is a sort of unofficial release, without notes or example files yet, so really just for the adventurous. There will be another more ‘official’ version coming soon. Possible to then disjoin at the sharp edges for unrolling? Part of the challenge I think is that in some places there might be sharp creases which can be unfolded, while the faces either side stay attached, and in other places there are seams, where it has to split before flattening. So I’m not sure just splitting by an angle threshold would be enough. It would be a good place to start though. Once it is split and flattened (even if not precisely developable), it should also then be possible to equalize edge lengths between the flat and 3d in order to enforce stricter developability. Hi Daniel: You state that the Beta 2.5 is for R6 only; this means that this and all the forthcoming builds are also for R6? I’m not sure yet - there might be one more update of Kangaroo for Rhino 5, but some of the new features make use of functions only available in Rhino 6, so it wouldn’t be possible to add them to the R5 version. That’s so cool! Really looking forward to test! Hola @DanielPiker, where’s that beta? can we try/see/play? @gustojunk Here :D, in the end, it is called 2.5 (beta) . Hi Mesrop. It looks like you are using quite an old service release of Rhino. Try updating (in Rhino - Help>Check for Updates). @DanielPiker do the macOS guys have to wait a bit? @DanielPiker This is great Piker! I am using after meshes are generated in tOpos. After reading this comment, I began to think how this component could be used to mimic hand-carved forms and perhaps then be machined via cnc. I’ve started on a courtyard project where I used the component to model some tall marble totem-like objects. Below is a preliminary rendering.